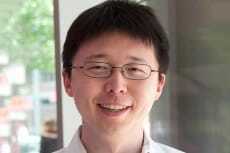 NYSCF – Robertson Stem Cell Investigator Dr. Feng Zhang, Broad Institute of MIT and Harvard, published his latest work on genome editing in Nature Biotechnology. Dr. Zhang and his team showed how a targeted genome editing molecule structure called Cas9 works in mammalian cells. Further, this genome editing structure can be induced or dormant due to a split architecture that is activated by chemical induction. This work to identify specific and targeted genome editing technologies will pave the way to future genetic based treatments.